Hey There everyone. This has been a very interesting week! First of all my comp and have discovered a new finding technique. I think I told you guys that I made pancakes before. Well, I've perfected the recipe. They are kind of like grandma's pancakes now. 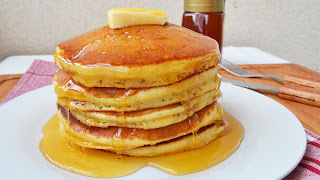 So when ever we find members, less actives or investigators, we tell them, "you know what, I will come here next week and teach you how to make American pancakes. But the deal is you have to bring an investigator over for us to teach." It works really well! A lot of people say "no" to being taught about Jesus Christ, but no one says "no" to pancakes. And usually when people are eating pancakes, it is a lot easier for them to listen. My comp and I have being focusing on teaching repentance more than anything this week. It has been going really well. I had my testimony of repentance strengthened a lot this week. I know that repentance is the only true way to happiness. Without repentance we have nothing. I'm so grateful for the opportunity that God gives us to repent. I love you all. And I hope that you have a great week!